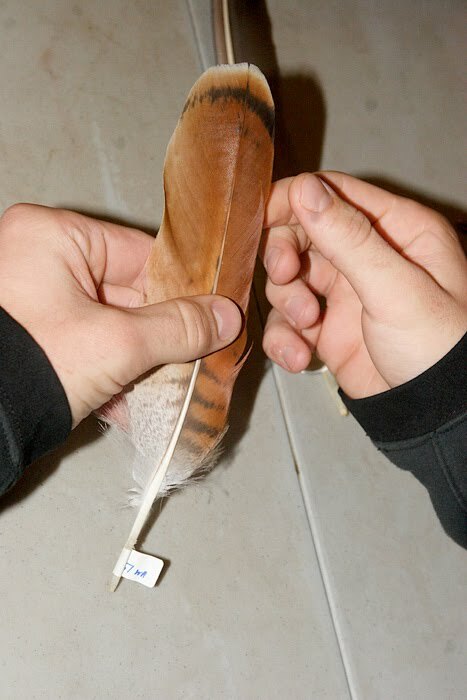 Last week, students in the Wilderness Certification Program had the great opportunity to learn from Alderleaf instructor Dave Scott about feathers. They learned about feather structure, function and species identification. As part of the class, we used Dave's new book Bird Feathers: A Guide to North American Species. Feather identification is a skill helpful not only in having a greater appreciation for the natural world, but also is an asset in wilderness survival. Knowing which species are around that might provide a source of potential food is vital in a survival situation. 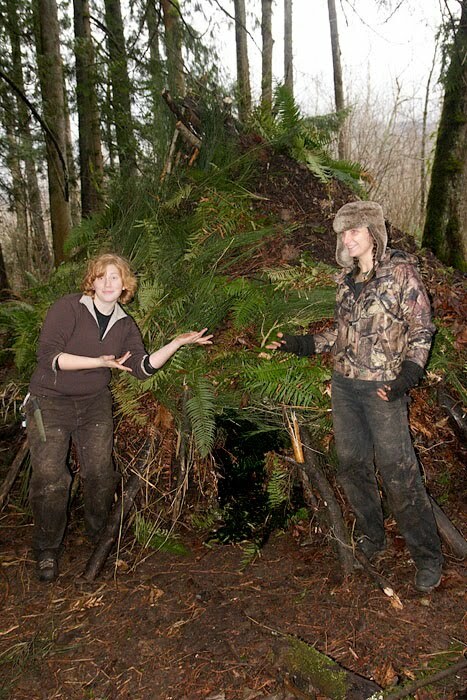 On the next two days, students built shelters known as "debri-tipis" or "debri-pees" for short. The challenge was to build these shelters from natural materials found at the location, and to sleep in them overnight. That night, the rain fell steadily and the temperatures dropped. 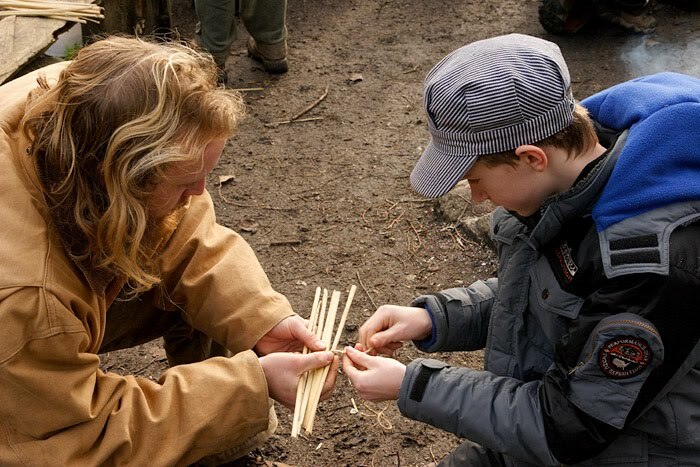 In the morning, the students were pleased with what they had accomplished, and how dry and warm they had been! 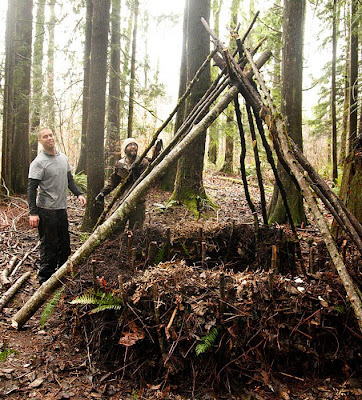 Here Alderleaf Wilderness Certification Program students Richard and Connor setting up the framework for the roof of their groups debri-pee. 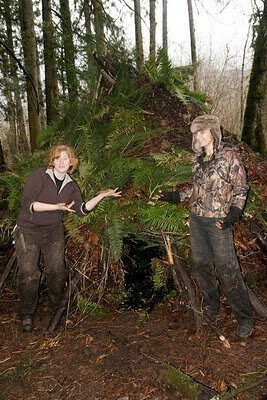 Here fellow students Jackie and Melissa show off their groups' nearly completed shelter. You can see the low doorway near the ground between them. Over the past two weeks, Alderleaf Wilderness Certification Program students have engaged in all kinds of learning adventures. 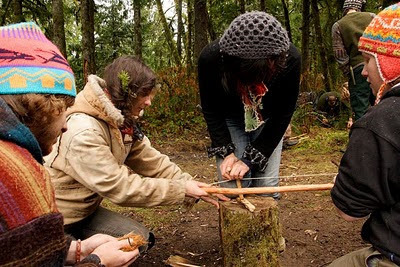 First of all they had a challenging day of advanced fire making, which involved creating bow-drill friction fire kits from wild harvested materials. Here (from left to right) Danny S., Mellisa L., Georgie L. and Jackie W. team up to get a coal. 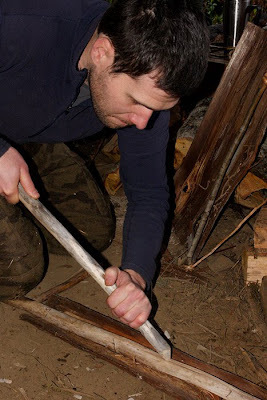 Here, Alderleaf instructor Dave Scott demonstrates the use of a challenging friction fire technique called the "fire plow." It requires a lot of pressure and fairly dry conditions, and so are generally preferred in dry parts of the country. For the next 2 days, the Alderleaf students had their first experience mentoring the youth students at OWLE camp. Alderleaf Student Miles helps an OWLE camp student create a tule mat. 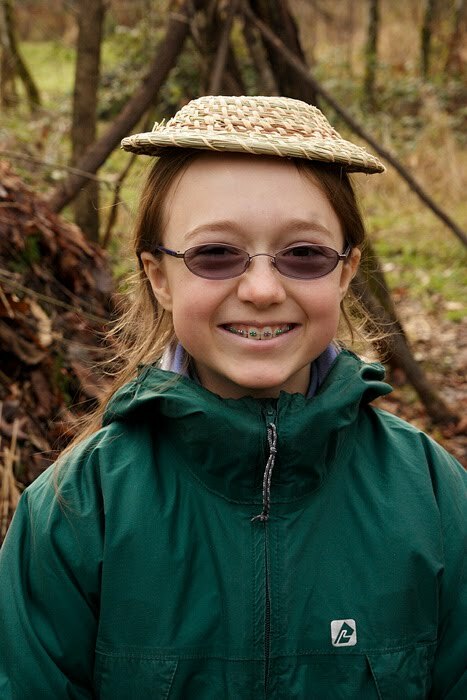 Here an OWLE student demonstrates a creative use for a pine-needle basket.